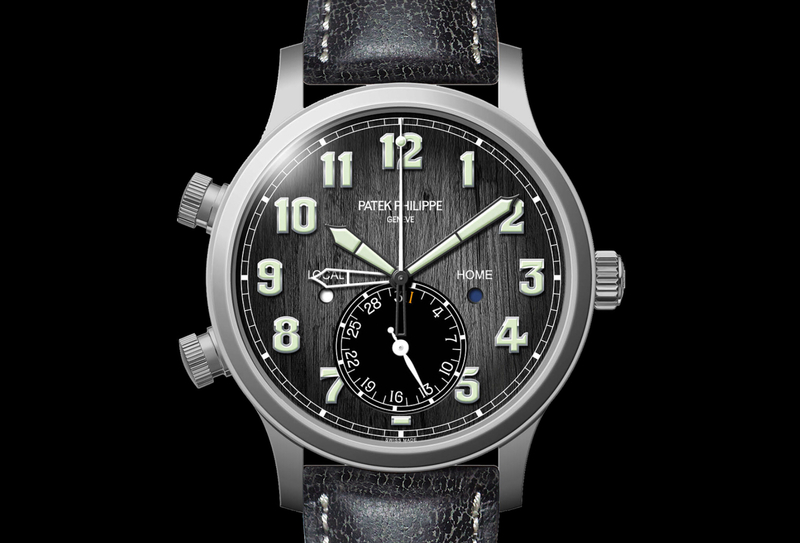 Patek Philippe, arguably the world’s premiere watch manufacturer, has just released a preview of the watch they will be auctioning for Only Watch 2013. 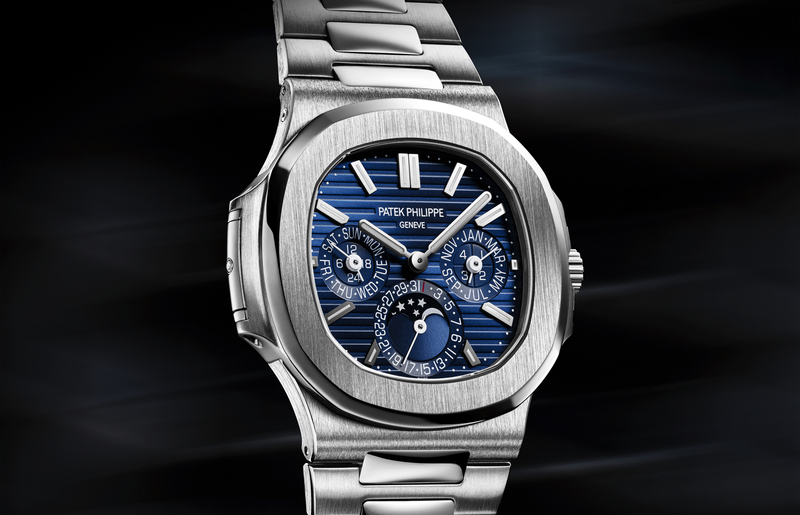 It is a Patek Philippe Reference 5004 in a solid titanium case. Needless to say, this will be one of the hottest pieces at the auction. 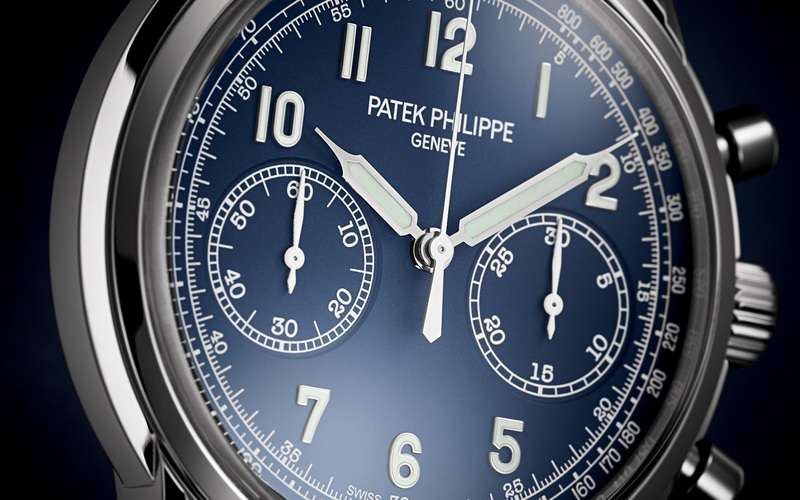 “One of the great classics of the Patek Philippe Grand Complications collection between 1995 and 2011, Reference 5004 embodied the traditional, manually wound chronograph at its highest level. Its Caliber CHR 27-70 Q is based on a “Nouvelle Lémania” movement, produced exclusively for Patek Philippe and completely reworked in the company’s workshops, to which Patek Philippe’s engineers and master watchmakers have added a sophisticated split-seconds mechanism and a very fine perpetual calendar. Reference 5004T is powered by manual winding caliber CHR 27-70 Q. 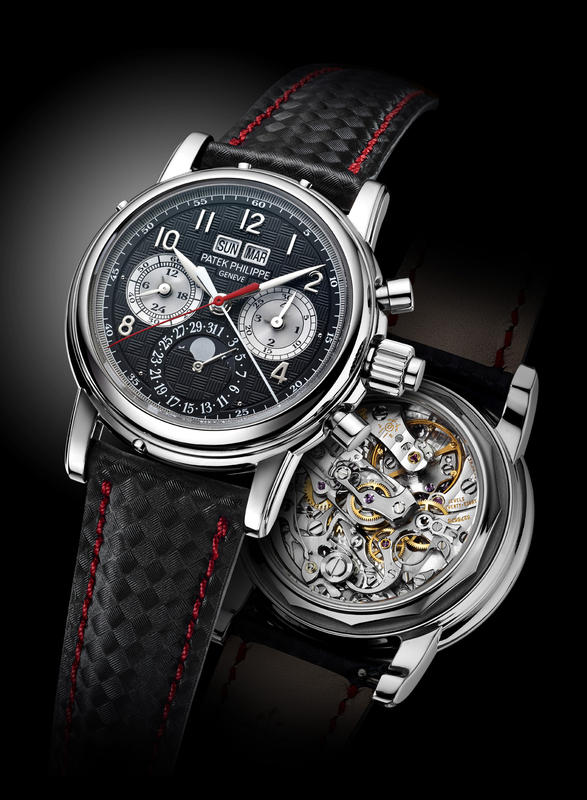 It features a split-seconds chronograph with 30-minute counter. A perpetual calendar with day and month in apertures, date and leap year by hands. Additionally, it has a moon phase display, a 24-hour display and a small seconds sub-dial. The dial is in solid gold but is blackened and has a unique hand-guilloché carbon pattern made to look like carbon fiber. The dial features applied hour markers in white gold, a white seconds hand and a red split seconds hand. The titanium case measures 36.7 mm in diameter and is fully polished. The strap is in black calf leather which has been embossed with a carbon pattern. It features red contrasting hand stitching and a titanium prong buckle. The case back is interchangeable between a titanium solid back and sapphire crystal case back. Water resistant is 30 meters. The base of the chronograph movement “Nouvelle Lémania”, exclusive execution to Patek Philippe.